In Part 1 of this story, I was left with the possibility that the remains of my great uncle Raymond Christensen, killed in World War II, were not necessarily lost at sea, but might instead be buried somewhere, unidentified. In one of his very informative emails, David sent the link to the Defense Prisoner of War * Missing Personnel Office’s website. This office is actively working to identify remains, and it’s never too late, as this very recent press release regarding Staff Sgt. John J. Bono demonstrates. Staff Sgt. Bono was on a plane that crashed on September 13, 1944 in Germany. It took a very, very long time, but this soldier has finally come home. One of the methods used for identifying remains involves mitochondrial DNA. 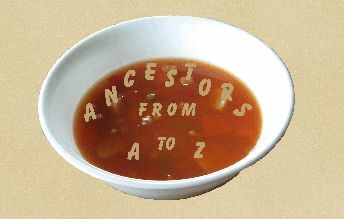 Unlike Y-DNA used for genealogical purposes, mitochrondria DNA (mtDNA) cannot prove relationship to any high degree, but it can exclude relationship, or can provide supporting evidence of a relationship. Furthermore, rather than requiring a sample from the direct-line males in the family, mitochondrial DNA may be supplied from other near relatives. In the case of an unaccounted-for male soldier, either a brother, a sister, or the sister’s descendants to the third generation may supply DNA for testing. The Central Identification Laboratory does the work of putting together the evidence with the goal of making an identification. Using data surrounding the recovery of the remains, race, age, height, medical and dental records, fingerprints, and DNA, sometimes a presumptive identification can be made. Without delay, I contacted the Central Identification Laboratory (CIL), and settled down for what I was expecting to be a long wait. Within the week, I received a phone call from an agent at the CIL requesting more information, and explaining the process to me. He sent, by Federal Express, two mtDNA collection kits, one for myself, and one for my mother, direct descendants of Ray’s sister Lillian. The kits consisted of swabs that we used on the insides of our cheeks to collect cells. 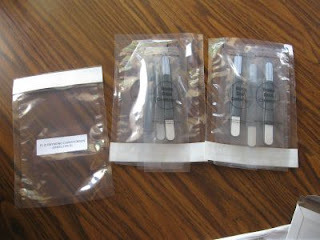 We packaged these swabs for return to the lab. In addition, we were asked if we had envelopes from any of Ray’s letters home; the process of licking the envelopes to seal them would be his contribution to the process. We had two, which we sent. We were assured that they would be returned. The process was very quick, and very simple, and return Fed-Ex fees were paid by the laboratory. And now, we wait. We understand that this process will not be a quick one, and no results can be guaranteed, but we’re grateful for the opportunity to at least try, thanks to David. I’m hoping that 2012 will be the year Raymond Christensen finally comes home. “I am trying not to openly speculate about the circumstances and events surrounding the missing crew of KW 161. Even though your uncle has been declared KIA, he is still missing.” Those words, emailed to me by a correspondent regarding Raymond Christensen, ran through the back of my mind for most of the next few days. In any idle moment I had, this sentence would resurface as I tried to put together everything I’d learned over the past few weeks and make sense of it. My correspondent, David, who is a collector of military items and a veteran himself, had read my blog post regarding my uncle Raymond, who, along with his pilot Joseph Leonard, were lost when their plane went crashing down into the Tyrrhenian Sea near Montecristo late on the night of May 13, 1944. David had found a soldier’s cap with the name Lt. Joseph E. Leonard on it, and was doing some internet research to learn more about this fallen hero. We exchanged information – I had information on Ray, including a Missing Air Crew Report, and he had expertise on all things military, and so our conversations began. Since our family was notified of Raymond’s status back in 1944, little has changed. The last we heard, the crew of the Bristol Beaufighter KW 161 was missing and unaccounted for. All that remained at the site of the wreckage was “much debris, an oil slick, and two life rafts.” End of story. It was during these exchanges when David told me that Lt. Joseph Leonard was buried at the Sicily Rome American Cemetery in Nettuno, Italy: Plot H, Row 9, Grave 40. What? Raymond Christensen was not buried there, nor was he listed among any of the other identified soldiers in overseas cemeteries. Both men went down in the same location at the same time. One was recovered. One was not? David’s words eventually sunk in: He was telling me there may be a possibility that Raymond’s remains were not lost, but unidentified. Dog tags, David explained to me, were typically the only means of identifying remains, and if Raymond had lost his dog tags in the events of that night, he may have been recovered but not identified.